Forget Wool. This should have been called Forge. Writing that's a power-punch to the gut. Direct, slow build of heat, singeing as it suddenly roars into flame. A world that feels solid, heavy, hard-edged, soldered with characters that are heated and molded into something new. This isn't knitting a scarf so much as forging a steel chain. I absolutely love the character of Juliette, determined, essentially elemental, a person that rocks my character world. I love how all her metaphors are mechanical ones, problems and solutions both. Even though I'm completely tool-impaired, her thinking was relatable, a clear schematic of sense. "But as Bernard's footsteps receded... she felt a new resolve steel her nerves. It was like encountering a rusted bolt that refused to budge. Something about that intolerable stiffness, that reluctance to move, set Juliette's teeth on edge. She had come to believe that there was no fastener she culdn't unstick, had learned to attack them with grease and with fire, with penetrating oil and with brute strength" (p. 132). Sophisticated in its ethics and philosophy. Although I expected something unusual given the buzz, I was still astounded at what I found. While it is not a novel I would read again and again (that's what Kate Daniels is for), it's powerful and worth a second read. Wool: Stunning in its character development. Introduces the psychology of the people in the intimate space through the story of the sheriff and his dead wife. Romantic, tragic, doomed; truly a hint of Romeo and Juliet. Wool Two, Proper Gauge: Compelling mix of character and plotting. Mayor and Deputy find renewal during the search for a sheriff. Using the climb gives a terrific tour of the physics and politics of the silo without infodump. Wool Three, Casting Off: Juliette takes center stage, struggling in isolation in her new job. Powerful discoveries mean the pattern starts to come together. Wool Four, The Unraveling: The overarching structure clarifies, like being able to see a map zooming out. Delicious ending line of kickassitude. 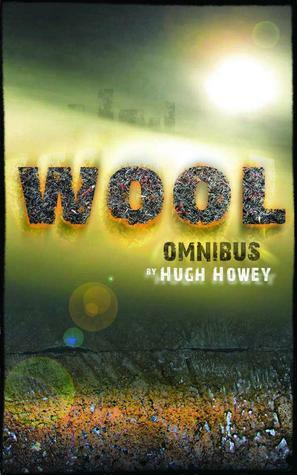 Wool Five, The Stranded: Action packed tension. Delicately balanced characterization means no villains here. And I can tell you beyond a shadow of a doubt that I will never go cave/wreck diving. Five dust-smudged and elusive stars.